Looking for quick and easy custard paste recipe? Custard paste is an essential accompaniment of brazo de Mercedes cake, a cake made from white eggs. But this is not the only use of custard paste for it is also great as bread filling and frosting for chiffon cake. When poured on chiffon cake and topped with grated cheese, you have yema cake. I don’t want to take a lot of your time explaining the use of custard paste. 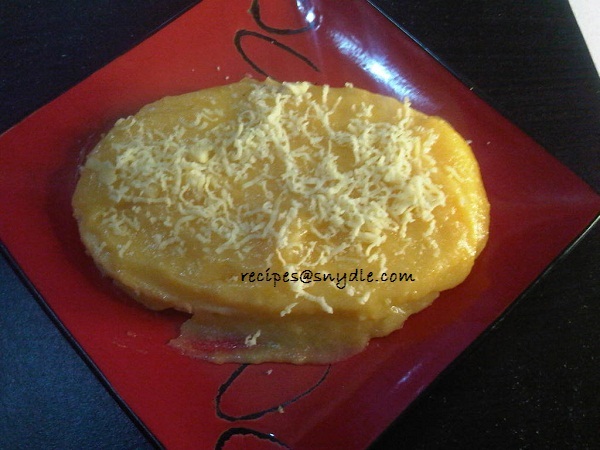 I will just share the custard cake recipe that I have been using for my yema cakes and brazo de Mercedes cake. Here’s my custard paste recipe, let me know what you think about this recipe. Drop me a line or two on the comment section. 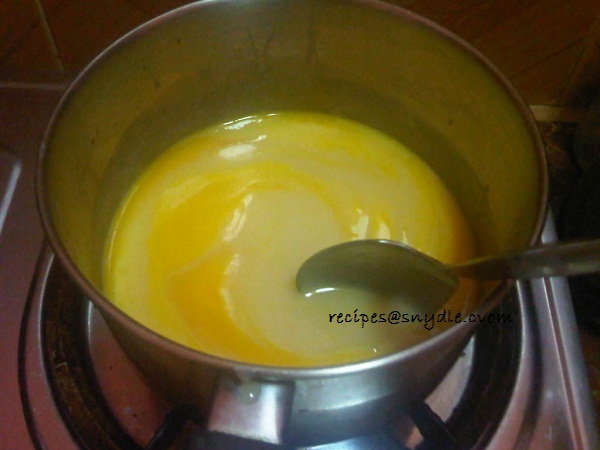 In a medium size saucepan, combine egg yolk and condensed milk then cook on very low heat while stirring continuously. Once custard starts to thicken pour in the slurry (cornstarch and water mix together to make a slurry) and mix until very thick. Cook the custard paste for 2-3 minutes more then add the vanilla. Turn off the heat and let it cool. Take note: When custard paste starts to stick on the back and front of your spoon then it is a sign that the mixture starting to thicken. Custard paste can last for 2 weeks in the fridge if stored properly. This custard paste takes about 15 to 20 minutes to make. Once cooking custard paste don’t leave it cooking even for a minute without stirring because small lumps will appear. If you also want the paste to be really thick and I mean thick enough to be use for decorating then just cook it longer. Thank you for dropping by and checking out my custard recipe. Have a nice day and happy baking.